"There are millions of mice in the world, but few know they are big enough to make a difference." We are a growing collective of artists doing both public and private art. Mice are versatile in many mediums including paint, airbrush, mosaic, and three dimensional art. 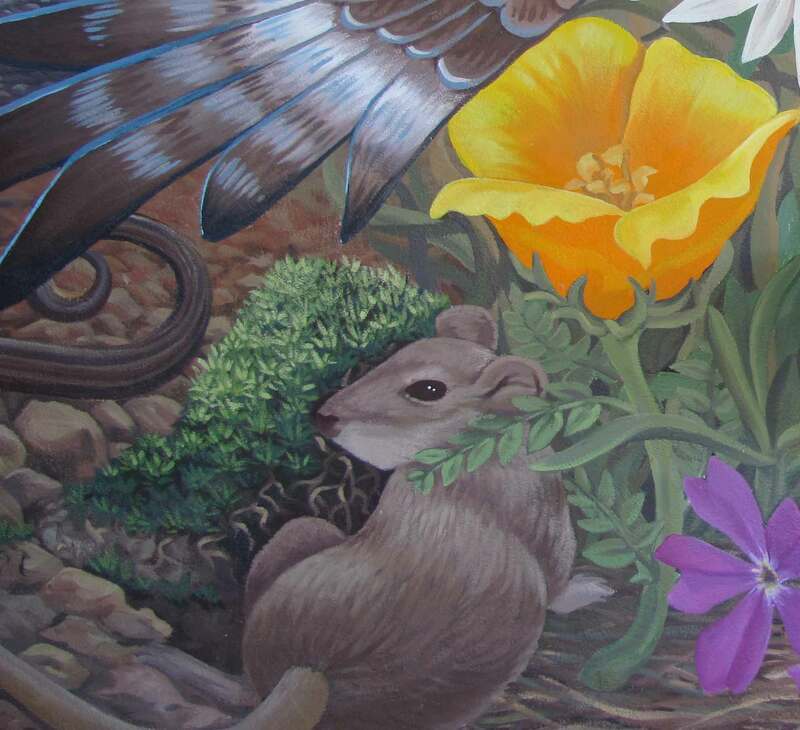 Mural Mice are community muralists. Our passion is to create meaningful public art for the sake of community. Our murals serve to beautify public space, provide educational resources, and engage people in an enjoyable and even therapeutic creative process. We strive to cultivate a sense of identity and place through art. Each mural begins with the intention to transform a blank wall. Some murals depict history, some are fun and fantastical, others visionary. Anyone can become a Mural Mouse, just pick up a brush and join in the fun.